Welcome to CityBi.com a new type of social website for Bisexual People. We are a social network community with thousands of active profiles in every city. Feel free to register and play around and maybe meet some fun people too. It's completely FREE to create your profile and posts on others' timelines at this time. Join Citybi today! Make contact with like-minded people. Other men, couples, groups & women. 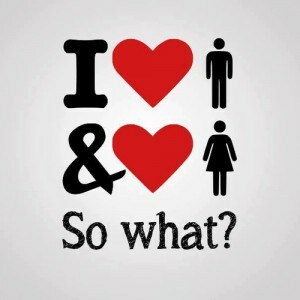 Bisexuality is the way. CityBi.com aims to be the leading BiSexual social dating website on the net and invites you to help make this happen by joining for FREE today. Being bisexual is having the best of both worlds. Millions of people would like to meet you & explore their mutual desires. Being bi is having the best of both worlds. Find your bliss with Citybi. Explore your Bi-sexuality with us.